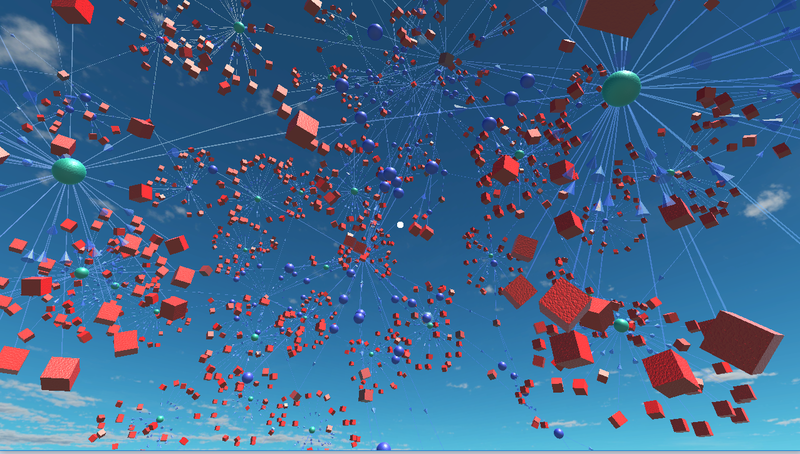 Visualise flows of Bitcoins as they flow from address to transaction to address to transaction… and so on and on. 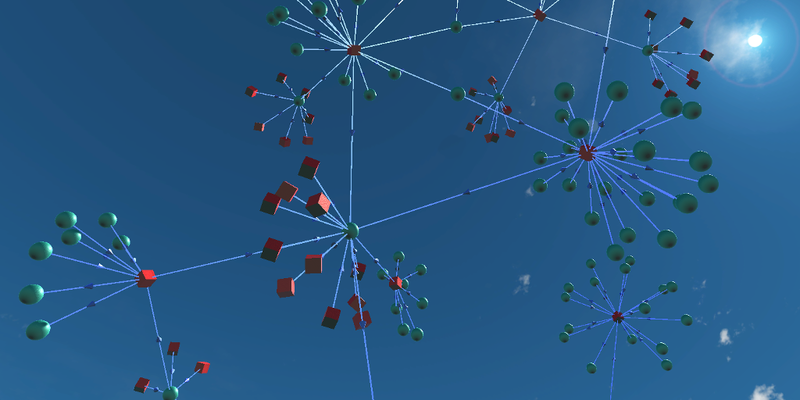 By clicking on transactions (the blue/green spheres) or addresses (the red cubes) more and more of the network can be displayed, and you can trace the movement of funds backwards and forwards in time. The screenshot below is shown without labels, but you can add an overlay to see transaction and address numbers, transaction amounts, dates, and so on. Visit the download page to get the latest version, then take a look at how to use the app. © 2018 Blockchain 3D Info. Powered by Jekyll & Minimal Mistakes.